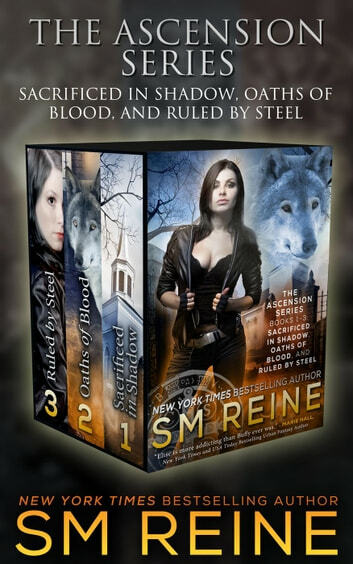 This urban fantasy boxed set contains the first three novels in The Ascension Series and totals 300,000 words. When it comes to problems involving evil, Elise Kavanagh is the expert in saving the day. Not only is she a legendary demon hunter known as the Godslayer, she’s also the most powerful demon to ever walk the Earth—a once-human creature that other demons now look up to as a deity. Rylie Gresham is Alpha of the last werewolf pack. They’re hiding from recent government laws regulating preternaturals and trying to avoid conflict. But someone’s trying to get into Eden. The garden holds secrets too dangerous for anyone to possess, including Elise’s former partner James Faulkner: a half-witch, half-angel bent on becoming God. He doesn’t care what it takes to get into Eden, and the werewolf pack gets trapped at the center of the conflict. Elise will do anything to keep James—or anyone else—from reaching Eden, even if it means journeying deep into Hell and seizing control of the City of Dis. Trapped between shadow and light, Elise walks a fine line trying to save the world yet again…even if it means losing her friends among the werewolves, the man she once loved, and her soul itself. Lincoln Marshall is a small-town deputy with a very big problem. Six members of his church have been found dead, killed by a rogue werewolf. He’ll have to make a deal with the Devil to save victims that have gone missing—maybe literally. Elise Kavanagh, preternatural investigator and exorcist, is the expert when it comes to violent deaths at the jaws of evil. She’s also among the most powerful demons that Hell has spawned. Elise jumps at Lincoln’s case, and it’s not just because of his down-home charm. Someone’s laid a trap for her in Northgate, and she wants to find out who. She’ll have to team up with Rylie Gresham, Alpha of the last surviving werewolf pack, to figure out who’s trying to blame the murders on werewolves. Only together can they stop the killings—and uncover the secrets buried in Northgate. The writing definitely evolved from book one to three. Story is very intriguing and captures all emotions that reader becomes too empathetic. Long time since I was so involved with story that putting book down was nigh impossible. I read the first ascension novel before. Descent series and I was kinda lost. Now I finished the brilliant descent series...kept buying one after another. Now ascension series make more sense but I gotta go and finish the Moon series to understand the werewolves stories too. I have read many fantasy books by a lot of authors. The Ascension series is well written, with characters you come to love and some to hate. It keeps you on the edge waiting to see who will prevail and what will happen next. 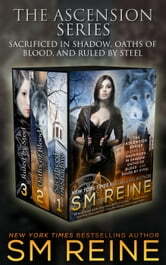 SM Reine has ranked with some of my favourite authors, such as Mercedes Lackey and David Eddings. Cannot wait for the next book. Loving this writer. You really should read her decension series first but it's not a necessity. This is a continuation. A wonderful storyline with great characters. I'm looking forward to seeing how it all turns out!